Differentiated Pathways that align with our domains of learning and core skills. Habits of Success where leadership and self-awareness proficiencies play an equivalent role to other knowledge and skills proficiencies -- the whole child matters. Learner-centered Projects as the core integrating methodology to support our place-based concepts. Mastery as a proficiency-based assessment system where advancement is based on demonstration of mastery rather than time period. How do we look at communities? Our communities are our classrooms as we create “learner ecosystems” within the local-to-global context. Our learner-centered school allows students to develop agency and voice and choice. By understanding what is in our communities (through observations, data collection, questioning, predictions, etc. ), we begin to understand our impact and how we can contribute toward making our community a better place. Engaging projects and meaningful student experiences are central to the work that we do at MRS.
As children learn about themselves as individuals and become part of a community, they learn to speak a language of kindness, respect, and compassion for all. 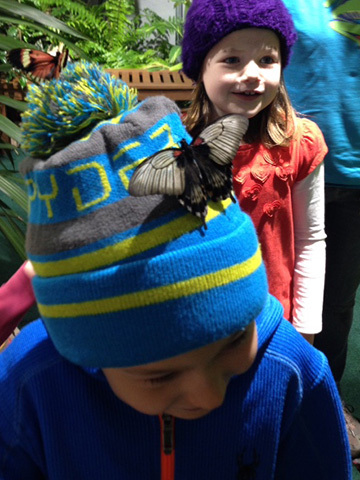 Exposure to nature helps students explore the connection between all living things, drawing upon their own innate knowing, intuition, and empathy. We engage in daily mindfulness practices and are committed to cultivating and deepening our own awareness, personal relationships, and connections with community. Through collaboration with the Teton Science School and the TSS Place Network, we have developed and aligned our domains of learning with the following proficiencies (synonymous with competencies). Our innovative place-based approach, proficiency-based assessment and project-based learning align with the learning model to ensure collaboration, fidelity, and quality as a TSS Place Network School. We strive to cultivate an environment that fosters effective communication and collaboration, lifelong learning, meaningful relationships, self-awareness and advocacy. Class sizes are kept small and we strive to integrate multi-age learning opportunities. Differentiated lessons tailored for the various learning styles/needs also help to promote these skills. Strong foundational skills in speaking and listening, reading and writing, and analysis and interpretation are critical to the work that we do at Mountain River School. 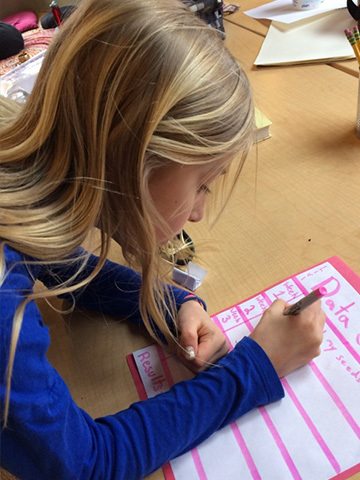 With Lucy Calkins Units of Study providing a foundation for our educators, students are provided reading and writing instruction through workshop models, supplemental resources, and differentiated strategies. Students are exposed to rich science processes and practices through their exposure to life science, environmental science, and physical science, which are embedded within our project-based, interdisciplinary learning "exploratories". Using Singapore Math as the foundation of our math instruction, students are exposed to foundational mathematical concepts and skills including: factors and ratios; geometry; measurement, data, and statistics; number systems; operations and algebra; and mathematical practices through differentiated, self-paced instruction. We strive to create a healthy school environment, which promotes physical and social-emotional health and wellness and healthy living. Our students are exposed to an abundance of outdoor time to promote movement and exercise as well as outdoor intelligence, safe and smart technology usage (in the Forests program), and healthy food choices. Art integration and creative expression is embedded into all aspects of our learning at MRS. Students are taught about artistic application, creation, critique, performance, and presentation. Their craft is refined during art-specific lessons, maker-space exploration, classroom projects, design-thinking & building-block room challenges, and outdoor studies. Our global studies explorations review the areas of civics, economics, geography & environments, historical perspectives, and sense of place. These units are embedded within our project-based, interdisciplinary learning "exploratories". Mountain River School believes that the student, teacher, and the community bring rich and varied context to the learner experience. In this regard, we use a proficiency-based learning and assessment approach to provide context and relevance, while still insuring a high fidelity to learner outcomes. Across the United States, including Vermont, proficiency-based systems are in the process of being implemented. We see ourselves on the leading edge of this approach due to our place-based and learner-centered philosophy. What content, skills and dispositions are taught? Clear learning expectations are outlined on the learner outcome progression for each of the seven domains of learning. As students progress through Mountain River School, they will be expected, under the guidance of our faculty, to demonstrate mastery of learning targets. Mountain River School documents and reports out on this learning in real time to students, parents and teachers. Mountain River School students will be engaged in a personalized learning journey to learn mathematics and literacy most mornings. Students will progress at their own pace, with guidance from teachers, occasionally working in groups, mini-classes, and other structures to ensure progress. Resources used will vary based on the student. The rest of the day is filled with project experiences. Students or teachers come up with appropriate driving questions which lead to authentic learning experiences. Teachers document learning and link learning targets to the projects. This could happen through a short week-long research unit, a three month study of the Stowe Community, a visit to the local historical society, an exploration of the impact of the Civil War on Stowe, Vermont, or an outdoor exploration to develop leadership skills. We call this the learning ecosystem. The community is our classroom. We know from recent neuroscience research that relevance and context are critical for learning. Traditional systems, with traditional lock-step scope and sequences, look great on paper, but are frequently not effective for most students. An emergent curriculum, guided by great teachers, and linked to specific learning targets increases engagement and agency. Students benefit because they learn more due to increased interest and engagement and are more willing to take responsibility for their own learning. With this flexibility, communities benefit from the myriad of experiences carried out by our students. Finally, teachers are valued to use their creativity, experience, and understanding of child-development to meet every student at the right time with the appropriate experience. We call this high-relevance and high-accountability. Arts integration is a holistic approach to teaching and is embedded through the daily practice of connecting an art form to another subject matter. It is based on the constructivist learning belief that education is experiential, evolving, collaborative, problem-solving and reflective. Arts Integration allows students to engage in solving problems through the creative process of identification, exploration, design, and creation (trying it out and making it better), which leads to the development of Lois Hetland’s “Studio Habits.” These habits consist of developing craft, engaging and persisting, envisioning, expressing, observing, reflecting, stretching and exploring. Each child makes sense of what they are learning by finding meaning and demonstrating their understanding by visually constructing an art piece that illustrates student growth in both the art form and another subject matter. Arts integration is personally authentic and easily differentiated which honors children’s passion for learning and inspiring curiosity. MRS’s art program consists of skill builders art block, community projects, integrations and a maker-space. We believe that using our local surroundings and the natural world as an extension of the classroom is important to developing students as lifelong learners. Students are encouraged to create, explore, and collaborate during both, outdoor time and class time. 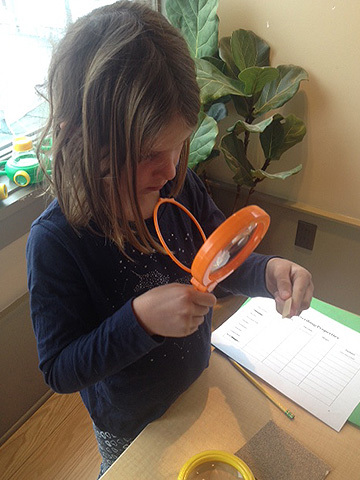 Our school’s location allows us to cultivate a passion and interest in learning through inquiry, observation, and experience. We also encourage students to engage in safe, responsible, and fun outdoor activities. Developing an “outdoor intelligence” while participating in these activities is crucial. We provide outdoor pursuits, which include downhill and x-country skiing, biking, hiking, and more, on Thursday afternoons during the school day. Indoors, we have access to our movement room, which includes a rock climbing wall and monkey bars. We go out in all weather, and are often found in the “Warren” and “Mini Warren” working on our restaurants, houses, or doctor’s office, collecting all aspects from the natural world to build these creative play spaces! When the weather blows our houses down, we rebuild! When the snow blocks our entryway, we dig! As we emphasize the importance of sense of community, our MRS community gathers for celebrations throughout the year for celebrations such as Potlucks, Birthday memories, Explorer Day Hike, Harvest Festival Fundraiser, Winter Solstice Lantern Walk, Green-up Day, Tuition Assistance Fundraiser and May Day to name a few. Each Wednesday, our parent community is invited to join us for our all-school community meeting where we gather to practice meditation or share stories and announcements. We have been known to break into games, music, and/or dancing! Following community meeting, we join our committee groups for brainstorming work. Students participate in multi-age committees each week with an assigned teacher, in which their voice and choice help drive the work that is done to support the MRS community at large. In previous years, our committees have helped to organize our Green-up day and May Day celebration! MRS encourages students to gain an understanding and passion for the performing arts. Students at MRS love to put on productions, whether it be through student-led talent shows, spontaneous plays, or organized theatrical productions. In previous years, students have also taken lessons with local musicians throughout the school day. Many students participate in programs outside of school that allow them to pursue their passions of art, dance, and theater.